Star Trek has zapped us with some high concepts over the years, but this marshmallow dispenser wasn't one of them. 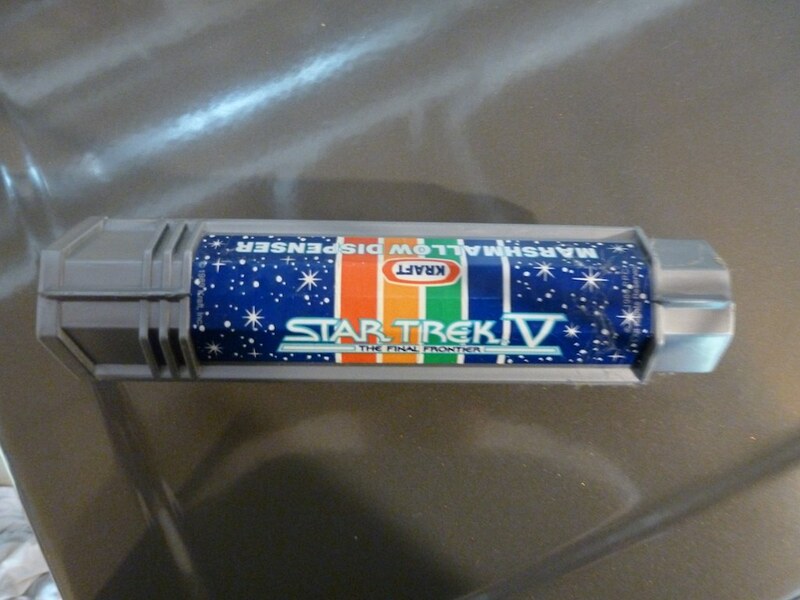 Scott Tipton, author of Star Trek Vault: 40 Years From the Archives ($40), cites the kitschy kitchen gadget as "one of the most insane bits of promotional merchandise ever offered from any film or television series." Amid the inevitable action figures and comic books, the marshmallow gadget stands as one of the weirder pieces of merchandise spawned by Gene Roddenberry's sci-fi series, which made its prime-time debut 45 years ago Thursday. Since then, Star Trek's thoughtful premises, quirky USS Enterprise crewmembers and zany aliens have spawned TV sequels and an 11-installment movie franchise. 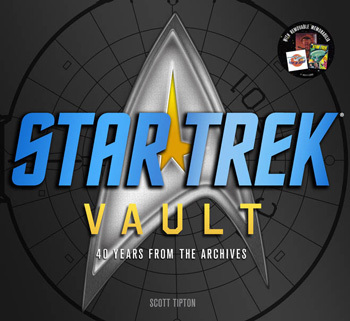 Star Trek Vault, set for October publication by Abrams Books, documents the franchise's rich history with factoids and rare photographs. Check the gallery for a sampling of oddball paraphernalia left in the wake of the show's trail-blazing trajectory. Back story: In Star Trek V: The Final Frontier, Spock hauls out a high-tech marshmallow dispenser as he bonds with McCoy and Kirk around a campfire. Kraft Foods exploited the scene with a special promotion: Customers who bought bags of marshmallows could mail away for a similar dispenser, which came with a giant plastic fork and a hook for hanging from your utility belt. "Nothing says experienced outdoorsman like a guy with an oversized marshmallow dispenser hanging from his pants," Tipton jokes. Images courtesy Abrams Publishing, except where noted.